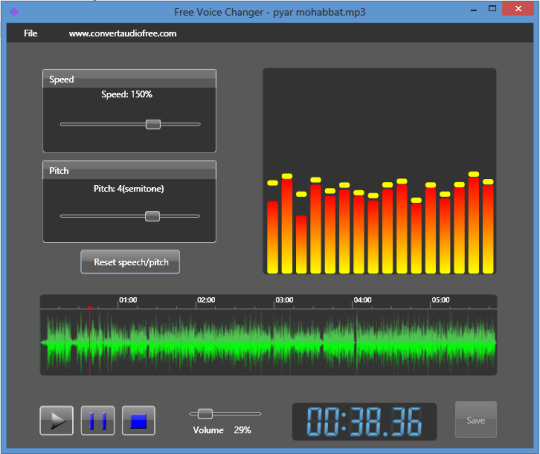 The Free Voice Changer is fun software that allows users to change their voices by modifying the pitch and speed. A youngster can change his or her voice to a child's and a man can change his to a woman's, etc. It is ideal for all those who love pranks and wish to play them on their family and friends. With the help of a microphone, they can change their voice on a real time basis.  This means that as soon as the user speaks something, the same is converted instantaneously. There is no intermittence of any kind and with a myriad of choices when it comes to presets; the Free Voice Changer is proving to be quite popular amongst users of all ages. It even allows them to edit the recordings and change any audio streams downloaded from the internet. The fact that it is absolutely free of cost and users need not subscribe for any updates in order to use the software is quite commendable. Once the tool is installed onto a Windows PC or laptop; it can be used for as long as there is a requirement. All the users need to do is to import their voice or any other human voice onto the Free Voice Changer and change it. 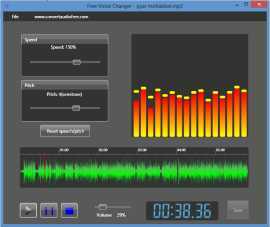 The speed and pitch of the recording can be modified separately on the interface and can even be reset should the user wish to further alter the voice. Functions such as play, pause and stop can be put to use with just a single click each. There is a volume control option as well and once all the parameters have been selected, the changed recording can be saved. The user interface is quite comprehensible and this makes the Free Voice Changer quite impressive.